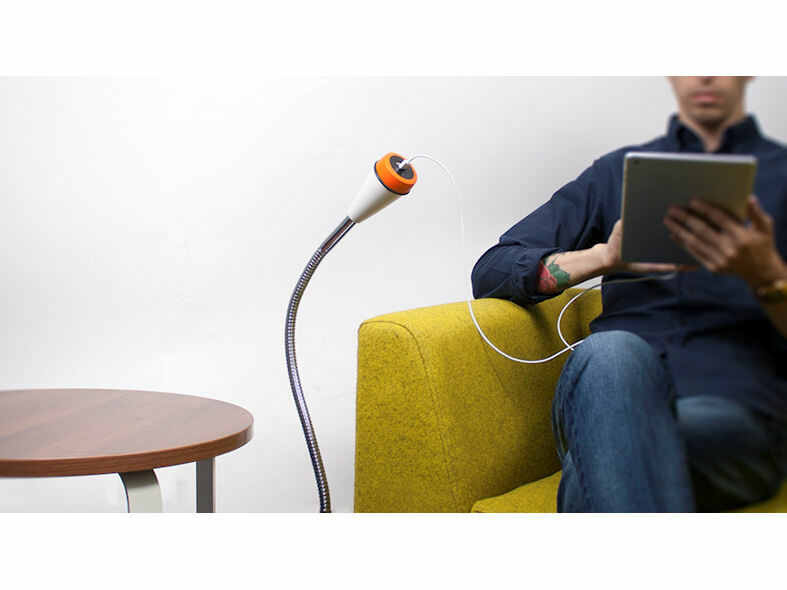 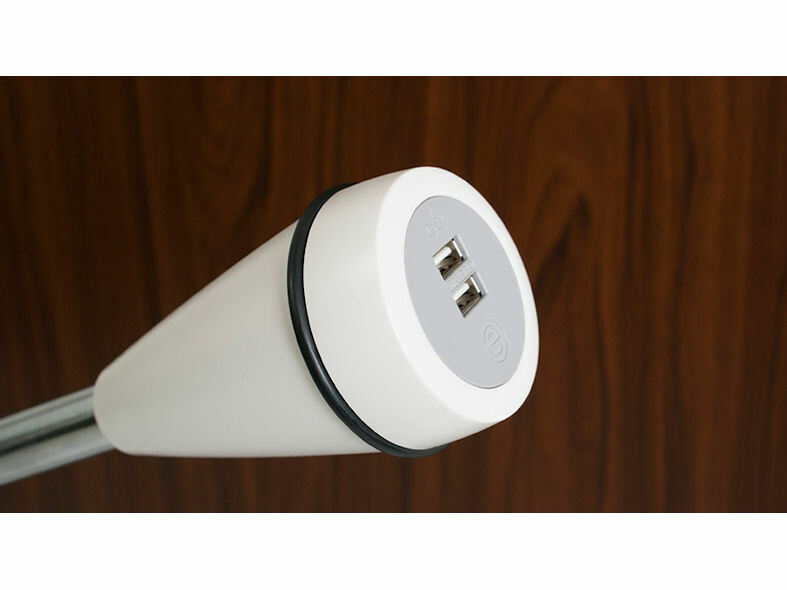 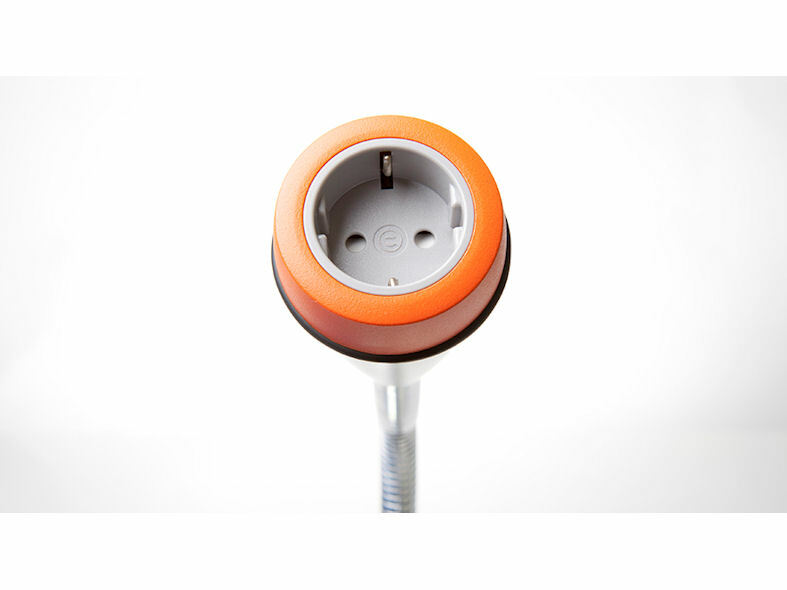 POSE is a unique and versatile solution from the OE design team for providing a conveniently locatable power or USB charging socket in casual seating areas. 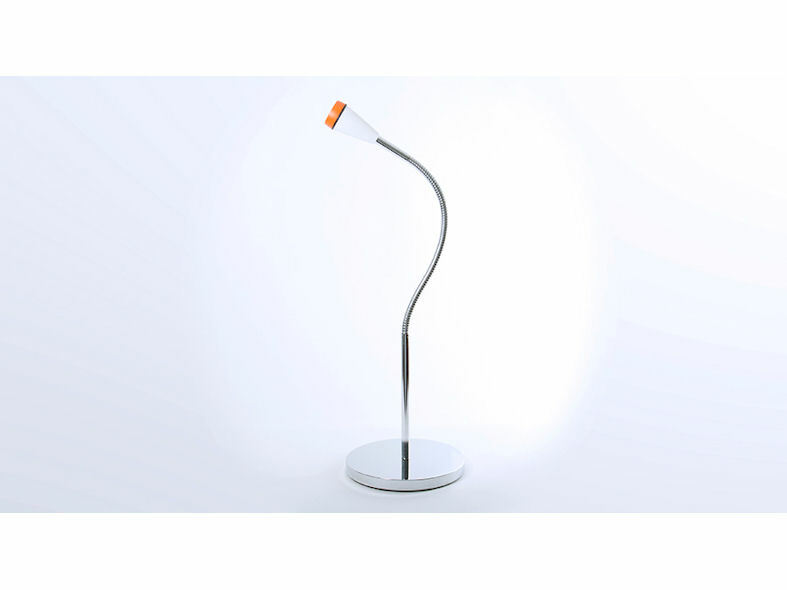 POSE is supplied as standard with the flexible chrome plated steel gooseneck attached to a weighted base but can also ordered with bespoke fixings for mounting direct to furniture, seating or even hospital type bed frames. 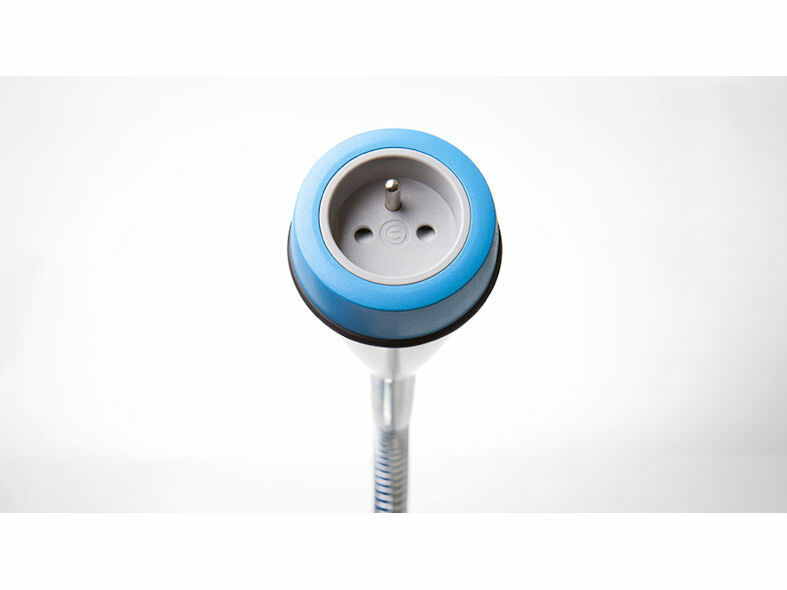 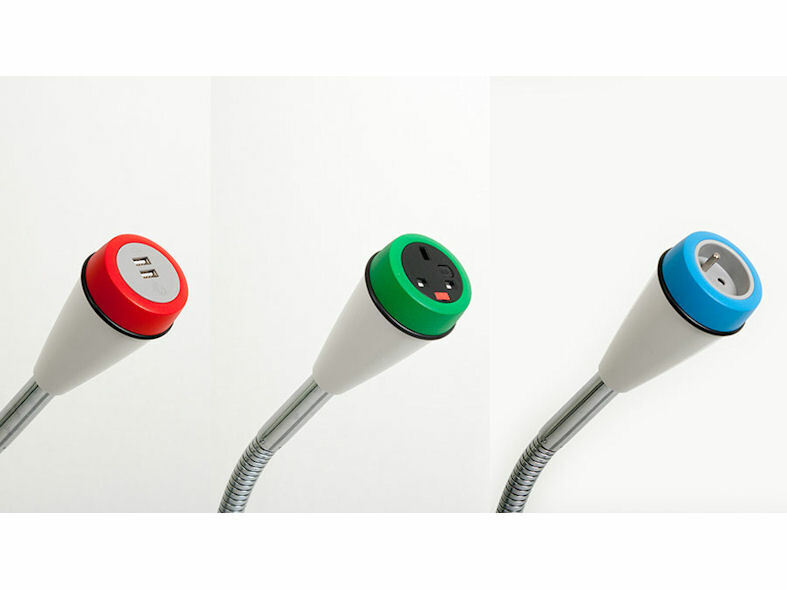 POSE can be ordered with either a black or grey socket fascia, and to add a distinctive finishing touch the standard white socket bezel can ordered in black or any of the Pulse-8 vibrant colours.